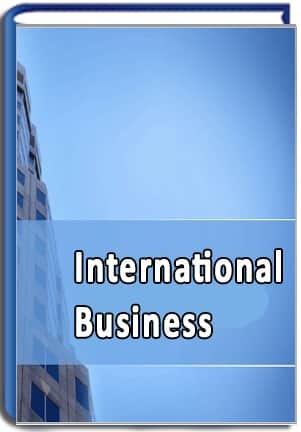 ISBM is an ISO 9001-2008 International B-School. ISBM is registered British Standards Institution which is accredited with ANSI-ASQ National Accreditation body (ANAB). This accreditation ensures the quality of the management system implemented by ISBM. The ANSI-ASQ National Accreditation Board had it roots in the Registrar Accreditation Board (RAB), which was established in 1989 by theAmerican Society for Quality (ASQ). RAB's original mission was to provide accreditation services for certification bodies (CBs). When RAB was created, it immediately sought to strengthen the U.S. system for CB accreditation by pursuing a formal relationship with the American National Standards Institute (ANSI). In 1991, ANSI and RAB joined forces to establish the American National Accreditation Program for Registrars of Quality Systems. ACS Registrars is operated by Quality Assurance, Environmental and Safety Business Professionals who have many years experience in a multitude of businesses and can therefore offer a true understanding of your company's needs during the auditing process. Isbm IS REGISTERED WITH ACS registrars for maintaining quality standards in distance education. ISBM is a member of Indo-American Chamber of Commerce (IACC). The Indo-American Chamber of Commerce (IACC), established in 1968, is the apex bi-lateral Chamber synergizing India-US Economic Engagement. The major objective of IACC is to promote Indo-American business, trade and economic relations. IACC acts as a catalyst for sustainable growth of business between India and the US. ISBM is recognized by Council of Distance Learning [CODL] . This approval from CODL is an assurance of the qualification earned from ISBM Distance Learning Programme. CODL was established "to improve and enhance the standards of distance learning institutions by the establishment of a system of accreditation". Its inspection processes are designed to support and advise colleges on improving their standards. ISBM is a member of CODL and has been a Pioneer in imparting distance Education in field of Management and all other courses which are a support function for these industries. ISBM is registered with Nimbus Certifications which is registered with Accreditation services for certifying bodies (Europe). This accreditation ensures the authenticity of valid certificate issued from ISBM. Since 1995 ASCB(E) has been actively involved in tertiary levels of quality assurance for further education programmes. In ASCBE, the accreditation activity will ensure that the totality of training provision is appropriate for the intended or target trainee and their employers where appropriate. This is achieved via the provision of quality assurance measures designed to ensure that the training requirement or input, matches the training and educational material, or output. In addition, ASCB(E) accreditation will ensure that the training provider has addressed those essential ancillary and logistical support activities, including essential Health & Safety requirements as well as the academic and administrative support, that results in the correct delivery and assimilation by students of the training and educational material. It is a requirement of the training accreditation process that course training plans are prepared defining key elements of the training provision. These are reviewed by ASCB(E) and verified at site. Copies of all training materials are retained within the ASCB(E) library and courses are attended by accreditation officers in order to verify the appropriateness of delivery and to derive feedback and comment from students and to assess levels of 'customer' satisfaction. Accreditation of training programmes provides an essential level of assurance for Trading Standards Organisations, Local Authorities, Chambers of Commerce, Insurance Companies and Higher Education Establishments. Independent accreditation by ASCB(E) and similar accreditation authorities is often an essential pre-requisite for the delivery of training under the auspices of the above and similar categories of organisation or association. 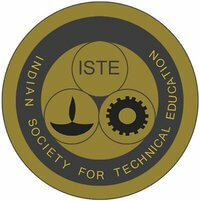 ISBM is proud to be an institutional member of Indian Society for Technical Education (ISTE) Which is one of the most prestigious Bodies governing Technical Education and is also one of the AICTE approved Body to run various programs including WPLP – Working Professionals Learning program.The Indian Society for Technical Education (ISTE) is a national, professional, non-profit society registered under the societies Registration Act of 1860. First started in 1941 as the Association of Principals of Technical Institutions, it was converted into "Indian Society for Technical Education” in 1968 with a view to enlarging its activities and advancing the cause of technological education. The major objective of the ISTE is to assist and contribute in the production and development of top quality professional engineers / technicians and Management graduates needed by the industries and other organizations. Being the only national organization of educators in the field of engineering, Management and technology, ISTE is involved in the various technical committees, boards formed by central government, Ministry of Human resource Development, AICTE/DOTE/DST. State government, are also involving the ISTE in many of their important programs and activities relating to technical education. The National HRD Network is an association of professionals committed to promoting the HRD movement in the country and enhancing the capability of human resource professionals in order to enable them make an impactful contribution to enhancing competitiveness and creating value for society. Towards this end, National HRD Network is committed to the development of human resources through education, training, research and experience sharing. The network is managed by HR professionals in an honorary capacity, stemming from their interest in contributing to the HR profession. The International Association for Distance Learning (IADL) was established to promote quality in distance education and training, and to provide approval and recognition of open, online, and distance learning programmes and course-providers worldwide. IADL members include schools, elearning websites, private training companies, corporate training departments, NGOs, colleges, universities, and other organisations on four continents. ISBM is an institutional member of Bombay Management Association (BMA) which has pioneered efforts to help enhance managerial effectiveness and improve the standards of Business Management in India. 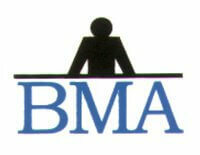 BMA is widely regarded as one of the best management associations in India resulting in over 1.25 lakh managers. ... accredited by the National Development Agency promoted by the Planning commission , Government of India. ISBM is a member of NCHEMS - National Development Agency for higher education and management education. he National Center for Higher Education Management Systems (NCHEMS) has its mission to improve strategic decision making in higher education for states and institutions in the United States and abroad. Through its more than thirty years of service to higher education, NCHEMS has been committed to bridging the gap between research and practice by placing the latest concepts and tools in the hands of higher education policy makers and administrators. Since its founding, NCHEMS has received widespread acclaim for developing practical responses to the strategic issues facing leaders of higher education institutions and agencies. With project support from multiple foundations, NCHEMS develops information and policy tools targeted at policy makers and institutional leaders that can help them set strategic directions and evaluate their effectiveness. NCHEMS also delivers research-based expertise, practical experience, information, and a range of management tools that can help institutions and higher education systems and states improve both their efficiency and their effectiveness. A particular hallmark of what we do is identifying and analyzing data drawn from multiple sources to help solve specific policy and strategic problems. A membership program and periodic training opportunities that foster two-way communication with stakeholders; these also provide opportunities for the Center to understand and meet the changing needs of postsecondary education. Responsiveness to higher education's practical needs is a natural product of what we do: the greatest strength of NCHEMS remains its ongoing working contact with higher education practitioners around significant problems. ISBM is Partnered with Aptech testing (ATTEST) for online and offline examinations. Attest is the assessment solutions business of Aptech. The company manages computer-aided assessments & paper-pencil tests for universities, corporates, educational institutes & public sector organizations. ISBM has parternered with Aptech for Hosting Examinations. 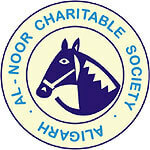 Alnoor is a initiative taken by Her highness Smt. Salma Ansari, This is for the upliftment of the human community by helping the economically challenged. ISBM is an active member in this noble cause. 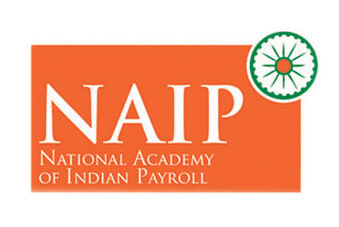 The National Academy of Indian Payroll launched in India in January 2010 in association with its strategic partner the Governing body of Payroll in the UK, The Queen’s Chartered Institute of Payroll Professionals (CIPP), is considered a significant milestone in the acceleration of India as a provider of Professional Services. NAIP has successfully delivered 8 International Conferences across India and developed strong ties with employers both at home and internationally. NAIP has engaged with practising HR and Management Executives through the NAIP Post Graduate Diploma, our one day Programmes , NAIP Membership, and Conferences. The NAIP infrastructure is supported by leading employers, practitioners, members of key National and State Organisations from both Government Agencies and Employer Forums and leading Labour Law Advocates and Senior Compliance Authorities who are and have shaped Compliance issues and interpretation of for example key legislation such Provident Fund, ESIC, Gratuity , Bonus Act, definition of Wages , Factories Act , Outsourcing . NAIP's forte lies in providing qualifications and training to ensure labour law compliance management and payroll. ISBM is proud to announce its association with Richfield University, Los Angeles, USA. Richfield University is an independent higher education institution and is a part of VCampus Inc. Richfield University is proudly located in the City of Woodland Hills, State of California, approximately twenty five miles northwest of downtown Los Angeles. Richfield University is committed to promoting diversity and global awareness for the advocacy of peace and world welfare. We highly welcome international students and are committed to serve a diverse multicultural body of students and scholars in an atmosphere that promotes pride, respect, and teamwork. Our students and scholars come from different ethnic and community backgrounds. Globally Assured Certificate for “Quality Education” to ISBM insures that their education system fulfills all necessary standards required for correspondence courses, covers components like education system, faculties, course materials and students interaction programs etc. It is an enthusiastic attempt by ISBM to expose the best of International Management principles, practices and managerial function to the students. At ISBM, the students can get qualified without disrupting their current career progression and earning. It provides online Modules for discussion board, online chat, video lectures, message board and examinations and Course material are self explanatory and easy to understand. The Council of EU Chambers of Commerce in India, an International Forum situated in the heart of Mumbai, the commercial capital of India was set up in 1992 with a vision to serve as the apex Chamber in India that represents the interests of European Companies and Entities in India. Under the aegis of Ambassadors and Head of the Delegation of the European Union to India as the Chief Patronas well as eminent member companies, Chamber has successfully carved out a path that epitomizes the development of global economic partnership between India and Europe. Diplomatic representatives of EU countries are among the special invitees. Indian and European companies connected with Indo-EU trade, commerce, manufacture, services and professions, directly or indirectly, are our patron members. The Chamber is an important link between European Union – Indian Businesses. The European Union today is India’s largest trading partner; there is a considerable scope for further enhancing trade relations between the two regions. India and the EU both agree that there is a need to aggressively work on increasing bilateral trade and economic co-operation. To achieve this, there is an urgent need to develop private sector contacts through frequent business meetings, communication and exposure. The Council of EU Chambers of Commerce organizes events and business seminars so that businesses from both the regions can interact freely. The Chamber provides a platform for businesses from both the regions to interact and explore possibilities of exports, imports, joint ventures, distribution partners, technology exchange and trade dialogue. And With all these ISBM is ranked among the Top Business Schools for correspondence Education in India by various leading corporate business magazines like, Business Baron, Business Today, Google.com etc. ISBM is the first bearer of Globally Assured Mark for "Quality Education" in education sector. The Council of EU Chambers of Commerce in India.